My first ever Memebox OMG box arrived last month. It was not quite what I expected but the oh mah gosh factor is definitely there. This is the 4th OMG box from Memebox. This series features a range of brilliant to bizarre products that will have you say "OMG". I didn't get the previous boxes because I was afraid of getting something too bizarre. However, I've seen some lovely products that I would want to try from past boxes, so I figured it won't hurt to buy just one. 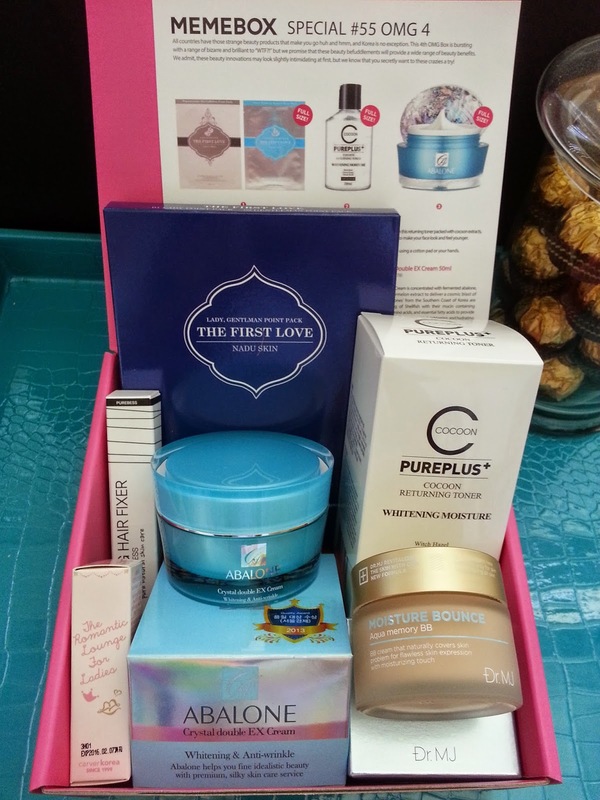 Want to find out what's so OMG about this box? Let's dig in! 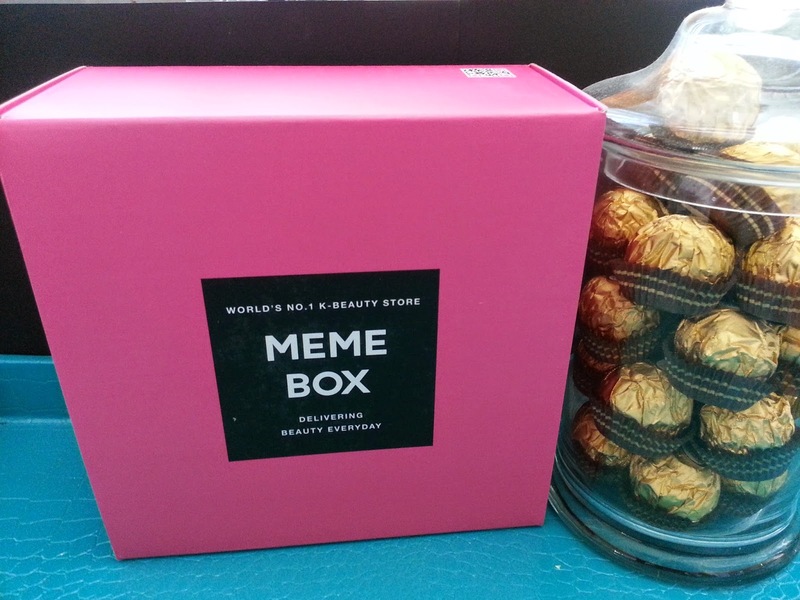 Memebox is a Korean beauty none subscription box company. They offer a range of k-beauty boxes monthly as well as an online shop where you can purchase more Korean beauty products. Learn more about them here! 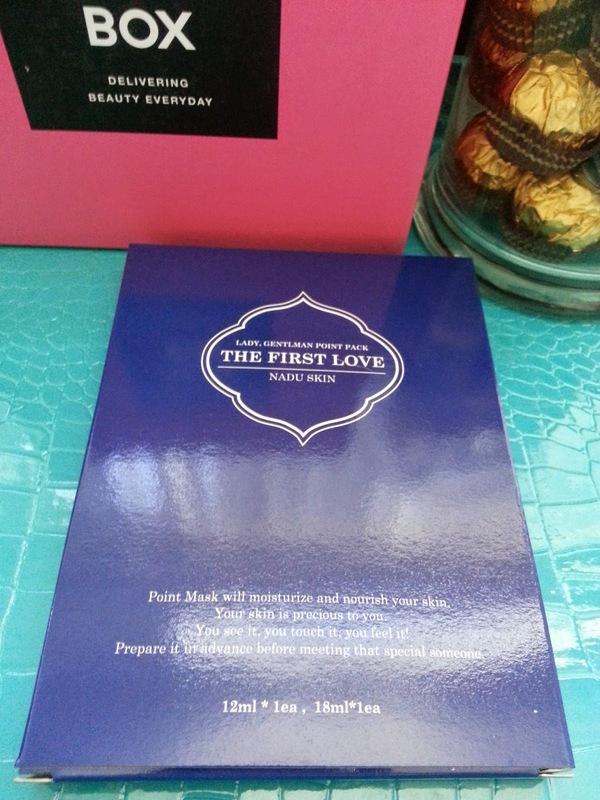 They recently came out with their own line of products, which ranges from makeup to masks. My mom got me the Memebox and Pony eye shadow palette (thank you Mom! And yes she reads my blog lol). She knew I was eyeing it but since I have a lot of neutral palettes I couldn't pull the trigger to buy it. I am in love with the eye shadow palette and if the other Memebox products are as good as the palette, than I am sold. Anyways back to the OMG box. This box came with 6 full size products, a norm for most Memeboxes. I purchased this box with the K-Style #4 box for $56 (so, $28 per box). The total value of this box is $168. That's well over what I expected. However, money doesn't mean everything, let's see if the quality of these products are worth it too. 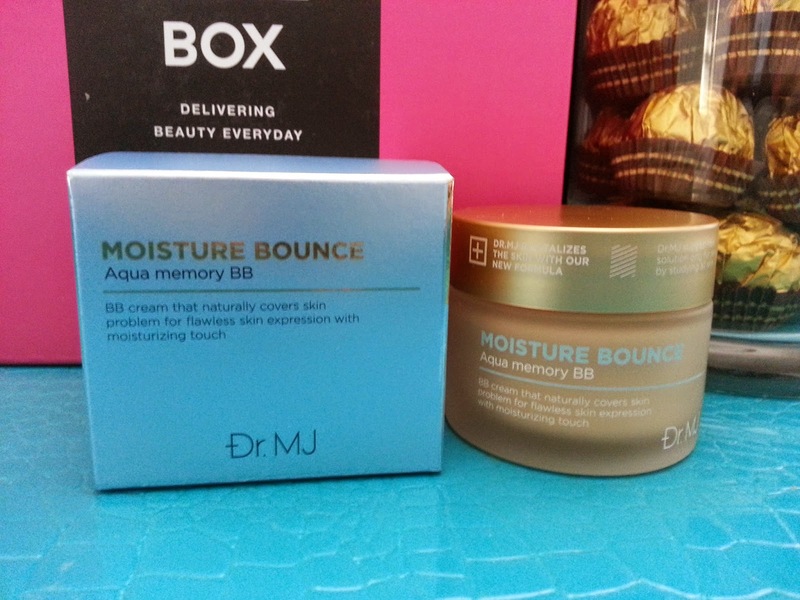 A jelly-like, bouncy BB cream with UV protection, skin brightening effects and wrinkle care properties. The BB cream adheres tightly to the skin with a cushiony texture. I'm not a big fan BB creams in a tub. Even if it comes with a spatula which means no sticking fingers in there, not that I would anyways. It's just more of a hassle in my opinion. If I'm in a rush in the morning, i.e. I wanted to sleep in for an extra 5 minutes lol, chances are I don't want to worry about cleaning my spatula. It's just much easier for BB creams to be in a tube or cushion compact. However, this BB cream does sound interesting, bouncy and jelly- like, sounds like it could be fun. I will be saving it for now and maybe trying it out in the future. Concentrated with fermented abalone, black bean extract, and watermelon extract this cream delivers a cosmic blast of skin care benefits. Abalones are known as the King of Shellfish in the Southern coast of Korea and are known for their mucin, containing a variety of minerals, proteins, and amino acids. It also contains essential fatty acids to provide amazing wrinkle care properties, skin brightening and revitalizing, as well as hydration benefits. This Crystal Double EX cream will soothes irritated skin and enhance the skin's elasticity with visible results after each use. I'm familiar with abalones since I've had them before. Not my favorite kind of shellfish, but due to the belief of its beauty, healthy and longevity prowess, I've had quite a few while vacationing abroad. When it's not cooked well, it can be tough and unpleasant to eat. However, when cooked well, it's pretty good. It's got a variety of vitamins and minerals to benefit the skin. This particular cream is quite thick. I've only used it on nights when I'm not using my sleeping pack and so far I really like it. The Abalone Crystal Double EX cream definently fit the OMG brilliant theme. This toner will control excess sebum, remove dead skin cells and replenish the skin. It's packed with cocoon extracts, witch hazel, and a variety of vitamins. With these properties, it will help brighten up dulled complexion and make the skin look and feel younger. Another OMG worthy product, this toner is quite amazing. The star in this toner is the cocoon extract. 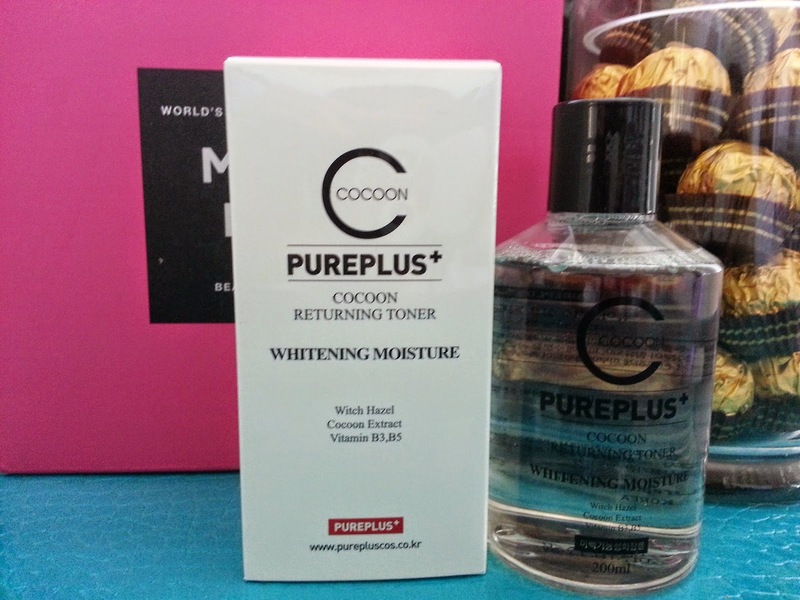 Since cocoons are known for its exfoliating abilities and this toner helps to exfoliate dead skin cells. This toner also contains citrus extracts, aloe extracts, and chamomile extracts to help brighten dull complexions and control sebum. A set of specially designed masks for the private areas. (Not for facial use.) It's designed to moisturize and treat the most sensitive yet often neglected part of the body. These packs are formulated with lavender flower water and various moisturizing nutrients. This was the Oh NO they didn't product. It was OMG indeed but it felt more like a joke. Seriously not what I expected. Especially after all the complains regarding lady part products being included in past Memeboxes, I was sure they weren't going to include them anymore. Welp, I was wrong. I am not going to use these. Those areas are sensitive and I'm not going to chance it. I did have a good laugh out of it with my girlfriends, so at least it did something, right? Hair product that looks like mascara, what could it possibly be? It's not hair spray, gel or wax, but you'll fall in love with it once you try. 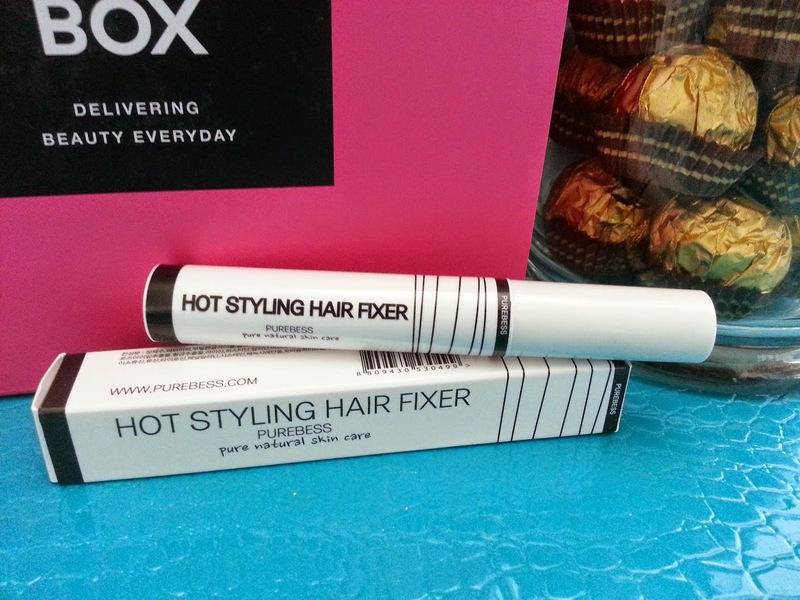 A hair fixer with a unique formula, non-sticky, lightweight and portable. It can be applied multiple times to swipe away stray hairs or to style any loose hair for a perfect look. I seriously thought this was a mascara until I read the description card. I love its unique packaging and it will definitely come in handy for me. It's not quite a brilliant product, but it's good none the less. A color transforming lipstick that offers high pigmentation and long lasting adherence. 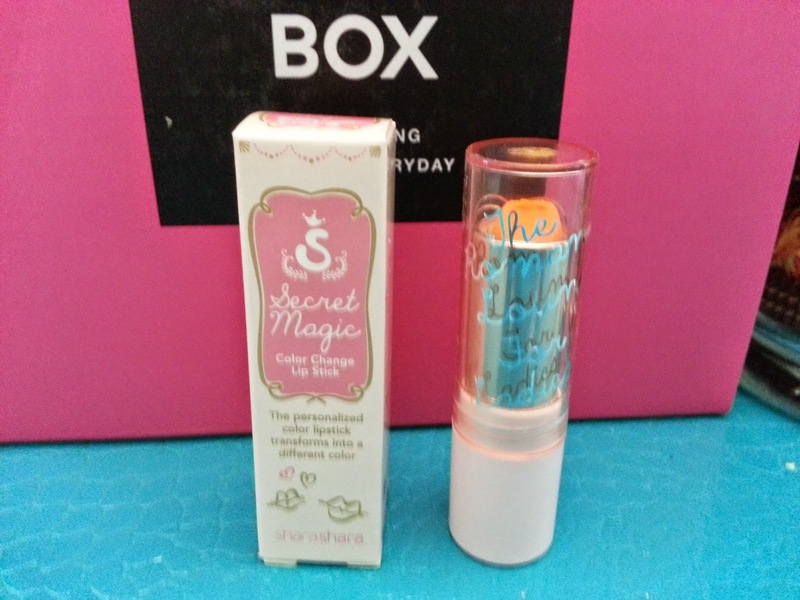 It's a perfect lip product that will not only look amazing on the lips but also help lock in moisture in a single swipe. Experience how the lipstick changes its color according to the temperature of your lips. It's got a gentle formula that's enriched with avocado oil and tocopheryl acetate, both will help to protect the lips from dehydration. This lipstick is suppose to be Yellow to Mango, but as you can see the color is really more orange. It was also a bit moshed on top so I ended up shaving the tip off before trying. The verdict? It did turn to a mango ish color but more on the orange coral side. It went on nicely but felt a bit drying after a while. I'm not a big fan of the color, but the color changing effect is unique and intrigues me. I wish it came with better colors though. This box was like a roller coaster of OMGness. It's got some amazing and truly brilliant products, than a bizarre OMG product, and finally a lipstick like a chameleon, only it changes to a not so pleasant color. Looking past the love pack and lipstick, I'm pretty happy with this box. 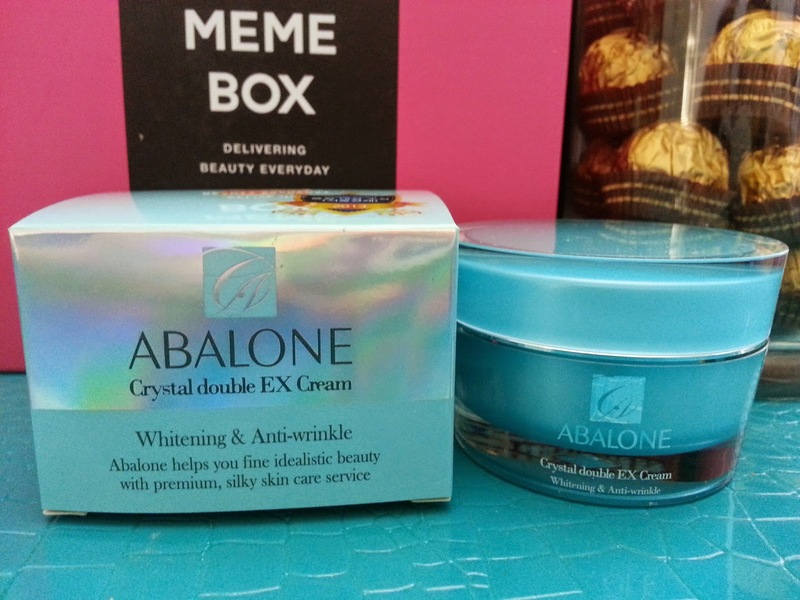 The Abalone Crystal Double Ex cream is more than worth it, quality and price wise. It's benefits are amazing and it really works. The toner, BB cream and hair fixer are like added bonuses that are also great in their own way. Overall, it's not a bad box. I only have one request for the MemeWorld, please no more products for our lady parts.